When you’re shopping for personal car insurance, you’ll quickly discover that there are hundreds upon hundreds of companies that are licensed to sell policies in your state. Unlike retail companies, where you can stroll down store aisles to find the best deal, the products sold by an insurance company carry a unique price tag. This is why it’s so important to get quotes to find cheap insurance. The idea of contacting several insurance companies to get quotes might sound time-consuming but it doesn’t have to take as much time as you might think. Enter your zip code into the FREE tool above to find cheap auto insurance in your area! What is the difference between a direct writer system and a comparison tool? How long does it take to get a single quote? Why is comparing rates so important? How can you save time and still compare several rates? What documents can help you get accurate quotes? There are so many different ways that you can get insurance quotes and so many different types of professionals that you can contact. When you’re concerned with time, you should know how the method of contact that you choose can matter. As you’re trying to decide if you want to visit a district office, make an appointment with a broker, call an agent, dial a toll-free number, log on to an insurer’s quoting tool, or use a comparison tool online, know how your choice affects time frames. 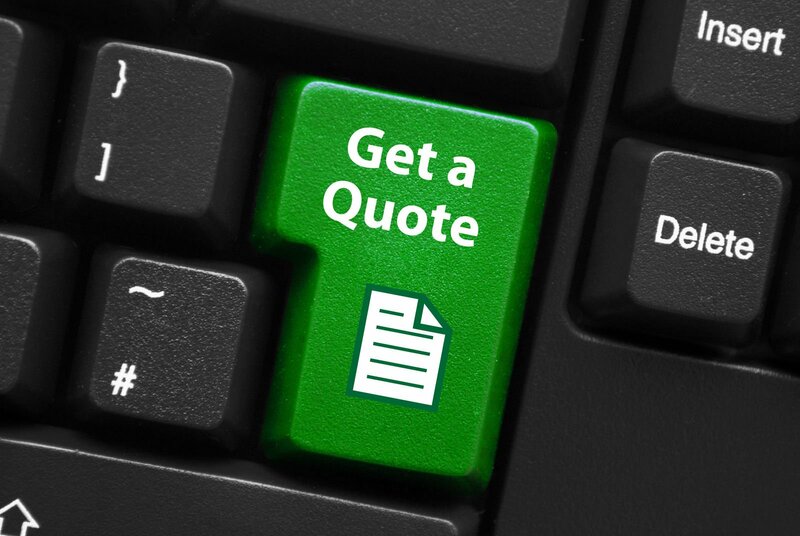 Getting face-to-face insurance quotes will always take longer than getting quotes by phone or via the world wide web. Not only do you have to make the time to visit an agent during office hours, you also have to count the time you spend driving there and back. This is why busy shoppers look to get quotes by phone or on the Internet. If you decide to do business online, you’ll find that there are two different types of quote systems. There are systems that are developed and managed by the insurer selling the products and there are other comparison systems that are run by a third-party company. Both types of systems are free to use but you can only get quotes from the direct writer if you use the official tool. You need to get at least a handful of quotes before you can confidently say that you’ve found the best rate. There’s no way to tell how long it will take to get all of your quotes if you request each rate quote separately, but it usually takes around 15 minutes to learn the system and to fill out each field on the form. According to a survey conducted on online auto quotes, the average person estimated that they spent about 8 minutes filling out direct writing quoting forms from start to finish. Consumers that used less advanced systems that didn’t pre-populate vehicle information and addresses spent a few minutes more. Any financial expert will tell you to get at least 5 to 10 quotes when you’re comparing the premiums. These experts recommend this because they understand how auto insurance rate making works. In the industry, there are preferred providers, standard providers, and substandard providers that sell high-risk insurance. Each type of provider offers competitive rates in a different segment of the market. By getting multiple quotes, you can scratch carriers that don’t offer low rates off of your list of options. Getting 5, 10, or even 15 quotes from competitors in the personal car insurance market can be very time-consuming if it takes 8 to 15 minutes to get each quote. The best way for time-conscious shoppers to get several quotes in just minutes is to use an online quote comparison system. You should never pay to use a comparison tool as a consumer. Insurance companies are the ones who pay to promote their products through a comparison site. The rates you’re quoted can legally change after you submit your application. The rates you’re given are based on the information that you give. If anything changes and it has an effect on risk, your final rate will go up. Every insurance application goes through an underwriting period. This is called the binding period of the application process and it can last 30 to 60 days. If the underwriter finds tickets, accidents, or fraud convictions, the rate can change or the policy can be canceled entirely. Don’t put off buying insurance. If you don’t think you have the time, you can pull up a website on your laptop or smartphone and retrieve quotes on your lunch hour or before bed. Enter your zip code below to compare quotes from multiple companies at once!